The issue of antibacterial resistance is becoming increasingly prevalent within the world of modern medicine. Difficult-to-treat pathogens create an incredibly real issue within clinical environments; and the problem needs to be addressed with novel treatments and the development of mechanisms which circumvent current therapeutic barriers.The push to commercialization of novel anti-infectives is also a big barrier to market entry within the field; with red-tape and funding restrictions creating hindrances to the progress of anti-infective drugs through trial and regulatory approvals processes. To address the ever-growing need of informative and thought provoking discussion, in order to address these industry issues, Superbugs & Superdrugs USA conference will offer a jam-packed agenda with presentations from key industry leaders and up-and-coming thinkers, within the field. "While recently approved antibiotic agents will likely help stem AMR crisis, novel approaches to the prevention and treatment of MDR infections are needed to ensure a viable antimicrobial armamentarium for the future. The SMi's Superbugs & Superdrugs USA meeting will bring together expertise from individuals in multiple disciplines in the field of infectious disease representing research, regulatory, funding, diagnostics and academia to focus on supporting antimicrobial research and development, funding opportunities and resources for companies, new diagnostics for clinical applications, as well as novel therapies and approaches"
"Very interesting range of speakers and topics - really looking forward to the 2018 event!" "The chairs did a great job of moderating - great discussion"
Gain insight into Diagnostic Technologies being used in the field and the futuristic developments which could be implemented. Dr. Cezairliyan is Vice President of Microbiology at Octagon Therapeutics. He has studied bacterial pathogenesis as a geneticist and a biochemist for over 15 years. Prior to Octagon, Dr. Cezairliyan worked at Massachusetts General Hospital and Harvard Medical School where he studied the regulation of bacterial virulence under fellowships from the NIH and the Cystic Fibrosis Foundation. Dr. Cezairliyan received his Ph.D. from the Massachusetts Institute of Technology, where he studied signaling mechanisms in bacterial proteostasis. Dr. Friedland is currently a consultant, focusing on advising companies on early and late development of anti-infective products. He trained as a pediatric infectious disease specialist at UT Southwestern Medical Center in Dallas. He served as the chief medical officer at Achaogen from 2014 to 2017, where he was responsible for leading the clinical development, regulatory strategy and medical affairs functions. Prior to Achaogen, Dr. Friedland headed the clinical development of numerous antibiotics at Cubist pharmaceuticals. He has worked in the pharmaceutical and biotechnology industry for 20 years, at both large Pharma (Merck, J&J) and several small biotech companies, leading clinical development teams of several important antibiotics and has played a pivotal role in the submission in the US, EU and other regions of drugs including ertapenem, caspofungin, doripenem, alvimipan, fidaxomicin, ceftolozane/tazobactam and plazomicin, in addition to supporting many marketed anti-infective agents. He is a frequent participant in a number of FDA/FNIH/PhRMA infectious disease working groups. He is an author on over 100 peer reviewed journal articles and book chapters. Dr. Pevear is the Senior Vice President of Biology and Grants Development at VenatoRx Pharmaceuticals Incorporated, which he co-founded in 2010 with Drs. Christopher Burns (CEO) and Luigi Xerri (CDO). Dr. Pevear has over 30 years of experience in both biotech and big pharma, with stints at Sterling Winthrop, ViroPharma (co-founder), Progenics, Novartis and Protez Pharmaceuticals. He received in Ph.D. in 1984 from Rensselaer Polytechnic Institute in Viral Immunology, and was a Multiple Sclerosis Post-Doctoral Fellow at Northwestern University Medical School with Dr. Howard Lipton. Dr. Pevear has over 60 peer-reviewed publications and has co-authored several book chapters. Dr. Newman, has over 25 years of experience in the fields of microbiology, animal model development and pharmacology. Prior to joining Tetraphase, Dr. Newman worked at Triad Therapeutics and AstraZeneca. During this period, he was involved in four programs which are currently in clinical development. Dr. Newman was also responsible for new model development at AstraZeneca, including in vivo models of MDR/XDR Enterobacteriaceae spp. and A. baumannii. During his tenure at Tetraphase Dr. Newman has been responsible for writing the nonclinical section of the Eravacycline NDA and MAA submissions, and is the principal Investigator on the TP-6076 CARB-X grant. Stephanie Noviello joined Motif Bio in May 2018 from Bristol-Myers Squibb, where she was the Virology Clinical Program Lead for the hepatitis B, hepatitis C and HIV portfolios. She previously worked at Schering-Plough Research Institute in Hepatology. Prior to working in industry, she was an Epidemic Intelligence Service Officer at the Centers for Disease Control and Prevention stationed with the New York State Department of Health Bureau of Communicable Disease Control. She is a board-certified pediatrician, and received her M.D. from Tulane University School of Medicine and her M.P.H. from the Tulane University School of Public Health and Tropical Medicine. Dr. Antonio DiGiandomenico is currently a Principal Scientist in the Department of Microbial Sciences at MedImmune/AstraZeneca and has 20 years of experience in microbiology and immunology. Dr. DiGiandomenico began his training in molecular biology and microbial pathogenesis at Duquesne University and continued his doctoral training at the University of Virginia. Upon completion of a postdoctoral fellowship at Vanderbilt University, Dr. DiGiandomenico accepted a position at MedImmune in 2009. Since arriving at MedImmune, Dr. DiGiandomenico has focused on the development of novel immunotherapeutics against multi-drug resistant bacteria in multiple disease settings and has contributed to pre-clinical and clinical programs. Dr Mahmoud Ghannoum received MSc in Medicinal Chemistry and PhD in Microbial Physiology from University of Technology in England, and an MBA from the Weatherhead School of Management at Case. Presently he is a tenured Professor and Director of the Center for Medical Mycology, Case Western Reserve University and University Hospitals Case Medical Center (UH) where he established a multidisciplinary disciplinary Center of Excellence that combines basic and translational research investigating microbes from the test tube to the bedside. He is also a fellow of the Infectious Disease Society of America and past President of the Medical Mycological Society of the Americas (MMSA). In 2016, Dr Ghannoum received the Rohda Benham Award presented for his continuous outstanding and meritorious contributions to medical mycology from the Medical Mycological Society of the Americas and he also received the Freedom to Discover Award from Bristol-Myers Squibb for his work on microbial biofilms. What is the status of resistance in terms of fungal pathogens? What are the main fungal strains posing the greatest threat to public health? Which are the current anti-fungals currently in use? Where are the gaps in anti-fungal development, which need to be addressed? Stephen A. Barat, PhD, is currently the Head of Preclinical Research and Early Development for Scynexis. Dr. Barat has more than 20 years of global drug development and registration experience across multiple therapeutic areas. Prior to joining Scynexis, he served in various leadership positions in preclinical development in Allergan, Forest Laboratories, and Schering-Plough. Dr. Barat is also a recognized expert in the interface between safety assessment and CMC requirements and is a member of the PQRI working group for leachables from parenteral drug products and the USP expert panel on biocompatability of packaging materials. He has spoken extensively in numerous international venues on a variety of topics on drug development. Current funding and partnership opportunities for development of antibacterials. Andrew Tomaras, VP and Director of Microbiology, BacterioScan Inc.
Dr. Tomaras is currently Vice President and Director of Microbiology at BacterioScan, Inc, where his roles include new product/protocol development and the design and oversight of clinical regulatory activities. He received his BA and PhD degrees from the Department of Microbiology at Miami University in 2000 and 2004, respectively. His subsequent postdoctoral research was conducted at the University of Colorado Health Sciences Center. He joined the Antibacterials Research Unit at Pfizer in 2008, and helped to start the Endogenous Human Biologic Response group as a Senior Principal Scientist within the Biotherapeutics Division in 2011. Laura Kovanda, Senior Director Global Development Project Leader, Astellas Pharma Global Development, Inc.
VP and Director of Microbiology, BacterioScan Inc.
Senior Director Global Development Project Leader, Astellas Pharma Global Development, Inc.
View details SCYNEXIS Sponsors and Exhibitors http://www.scynexis.com SCYNEXIS, Inc. (NASDAQ: SCYX) is a biotechnology company committed to positively impacting the lives of patients suffering from difficult-to-treat and often life-threatening infections by delivering innovative anti-infective therapies. The SCYNEXIS team has extensive experience in the life sciences industry, discovering and developing more than 30 innovative medicines over a broad range of therapeutic areas. The Company's lead product candidate, SCY-078, is a novel IV/oral antifungal agent in Phase 2 clinical and preclinical development for the treatment of several serious and life-threatening invasive fungal infections caused by Candida and Aspergillus species. For more information, visit www.scynexis.com. View details Swiss Biotech Association Official Associations http://www.swissbiotech.org/ The Swiss Biotech Association (SBA) is the national industry association for biotechnology, including pharmaceuticals, diagnostics, agriculture, food, cosmetics, environmental biotechnology, and specialty chemicals. Members are companies active in modern biotechnology, such as R&D, Production, Marketing and Sales, Finance, Services and Consulting. SBA provides a networking platform for Life Science clusters, academic and federal institutions the like. Founded in March 1998, the Association grows steadily. View details Global Biodefense Supporting Media Partners http://www.globalbiodefense.com/ Global Biodefense publishes the latest news on vaccine and therapeutics countermeasure development, biosurveillance and detection technologies, food safety and biosecurity, and CBRN incident preparedness and response. Visit our website to access daily news updates, organization profiles, conference listings, and the latest in funding opportunities for advancing biodefense technology. View details Infectious Diseases Hub Supporting Media Partners http://www.id-hub.com Infectious Diseases Hub is a free-to-access website open to all researchers, students and anyone else who might have an interest in the many aspects of microbiology and virology. We offer easy access to breaking news, interviews, opinion pieces, peer-reviewed articles and multimedia features, with a strong focus on the rising issue of antimicrobial resistance. Microbiology is such a diverse and exciting area, and with the emergence of new technologies giving us the ability to study complex communities and rapidly sequence whole genomes, there has been something of a ‘revolution’. Keeping on top of such technological advances and the latest emerging diseases is at the heart of Infectious Diseases Hub, and you can take a look at up-to-date essential research and information on the site now. 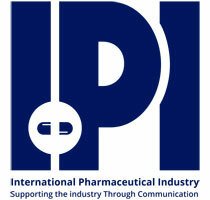 View details IPI Supporting Media Partners http://www.ipimediaworld.com IPI – International Pharmaceutical Industry Established by professionals with over 30 years experience in the Pharmaceutical and Life sciences publishing sectors. We have identified the needs of these dynamic industries, and have listened carefully to our readers and advertisers. 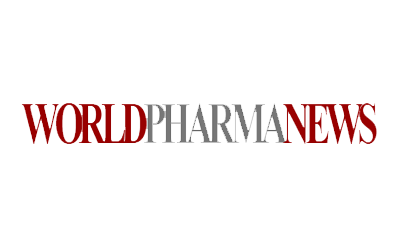 With strong collaboration between Pharmaceutical and Life sciences Industry Associations we have created a global distribution network. We give you a promise to become a reliable extension of your marketing and communication arm. If necessary we will integrate our expertise with your needs. Incorporating new and innovative communication methods we will help to highlight your expertise. View details Rapid Microbiology.com Supporting Media Partners https://www.rapidmicrobiology.com rapidmicrobiology.com is a well-established on-line resource for microbiologists worldwide, find the right products for your microbiology lab using our specially designed search functions. To keep up-to-date with the latest microbiology news get our free weekly newsletter which includes updates on products, services, webinars, training courses and conferences. Rapid diagnostics for drug resistance: Are we there yet? Your simple delights will become memorable moments at Renaissance Woodbridge Hotel. This distinctive hotel in Edison, New Jersey, features 269 modern guest rooms, including 42 suites, and more than 25,000 square feet of flexible meeting space. Our hotel's location is centrally located amidst corporate offices and tourist attraction. Our accommodations stand out from other hotels in Edison, NJ, and provide a sophisticated retreat for families and business travelers alike. Marriott's Plug-in panels and 37-inch LCD HD TVs allow guests simultaneous connectivity to laptops, iPods and DVD players. We are one of the most conveniently situated hotels at the crossroads of U.S. Routes 1 and 9. We are also just five minutes from Woodbridge Center Mall, 15 minutes south of Newark Liberty International Airport (EWR) and less than one mile from the Metropark train station. With our premier location and amenities, our Edison accommodations provide an advantageous travel destination. Interview with Laura Kovanda, Astellas Pharma Global Development, Inc.
SCYNEXIS, Inc. (NASDAQ: SCYX) is a biotechnology company committed to positively impacting the lives of patients suffering from difficult-to-treat and often life-threatening infections by delivering innovative anti-infective therapies. The SCYNEXIS team has extensive experience in the life sciences industry, discovering and developing more than 30 innovative medicines over a broad range of therapeutic areas. The Company's lead product candidate, SCY-078, is a novel IV/oral antifungal agent in Phase 2 clinical and preclinical development for the treatment of several serious and life-threatening invasive fungal infections caused by Candida and Aspergillus species. For more information, visit www.scynexis.com. rapidmicrobiology.com is a well-established on-line resource for microbiologists worldwide, find the right products for your microbiology lab using our specially designed search functions. To keep up-to-date with the latest microbiology news get our free weekly newsletter which includes updates on products, services, webinars, training courses and conferences. Infectious Diseases Hub is a free-to-access website open to all researchers, students and anyone else who might have an interest in the many aspects of microbiology and virology. We offer easy access to breaking news, interviews, opinion pieces, peer-reviewed articles and multimedia features, with a strong focus on the rising issue of antimicrobial resistance. Microbiology is such a diverse and exciting area, and with the emergence of new technologies giving us the ability to study complex communities and rapidly sequence whole genomes, there has been something of a ‘revolution’. Keeping on top of such technological advances and the latest emerging diseases is at the heart of Infectious Diseases Hub, and you can take a look at up-to-date essential research and information on the site now. Global Biodefense publishes the latest news on vaccine and therapeutics countermeasure development, biosurveillance and detection technologies, food safety and biosecurity, and CBRN incident preparedness and response. Visit our website to access daily news updates, organization profiles, conference listings, and the latest in funding opportunities for advancing biodefense technology.